After relaunching the iconic Fireball last year, New Zealand boat manufacturer Fi-Glass has released a new centre console version. Fi-Glass managing director Griff Simpson says that while the centre console configuration was designed with the company’s export markets in mind, it is also a concept that holds appeal in the New Zealand context. 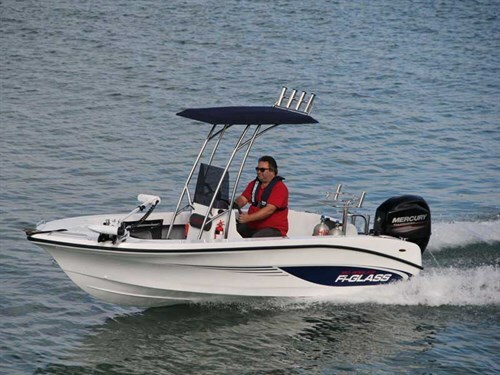 "The centre console version is great for fishing in warmer climates such as Tahiti, New Caledonia and Australia, enabling anglers to access the water from all sides of the boat," says Simpson. "It is also useful as a small tender for accessing larger vessels, offering a more comfortable ride than its aluminium counterparts but the same durability." Simpson notes that given the trend for smaller section sizes, smaller boats such as the Fireball (which is less than 5 metres long) are proving popular. The Fireball is also easy to launch and retrieve by one person. Fi-Glass has been manufacturing fibreglass boats from its Christchurch base since Simpson’s father Frank founded the company in 1958. The company first released the Fireball in 1968 as an entry level boat for Kiwi families. Simpson believes that boating should not be a luxury, which is why he is committed to keeping the Fireball within the reach of the average family, at a starting price of approximately $20,000 for a brand new model. The centre console model is no different; it has a starting price of $21,000, which is well within reach of the average fisherman.